"Happiness isn’t something that depends on our surroundings…it’s something we make inside ourselves." 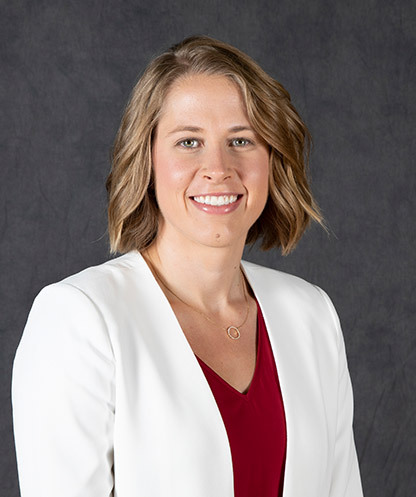 Rachel Messer, who was a guard for the Utes from 2009-13, is beginning her fourth year as Utah's Video Coordinator. Messer came back to the University of Utah after spending two seasons as a Graduate Assistant Coach at Westminster College. She helped the Griffins win back-to-back Frontier Conference regular-season and tournament titles, while the club combined to go 52-6 overall and made consecutive top-five finishes in the final NAIA Coaches' Poll. Messer stands 10th in Utah history with a 36.2 3-point field goal percentage, converting 138 of 381 attempts. She received the Tom Hansen Pac-12 Conference Medal in 2013 as Utah's top senior female student-athlete based on achievement in scholarship, athletics and leadership. She was also a Pac-12 Postgraduate Scholarship recipient in 2013 as well as a three academic all-conference honoree. As a senior in 2012-13, Messer led the Pac-12 in 3-point shooting percentage (.440) and was a first-team All-Pac-12 Academic Team selection to help the Utes advance to the WNIT Final. She scored a career-high 18 points against Northern Colorado on Nov. 20, 2012. Messer has a Bachelor of Science degree in Management from the University of Utah and a Master of Science in Business Administration from Westminster College.